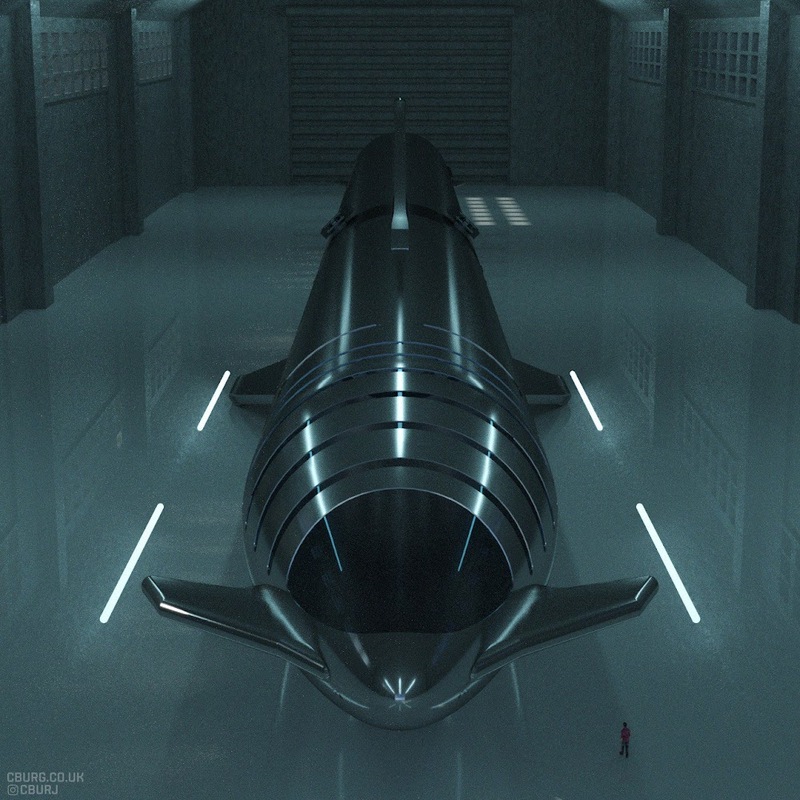 SpaceX's full stack Starship & Super Heavy waiting for roll-out in a hangar by British digital artist Charlie Burgess. More of his art here. Beautiful rendering. Let's please not forget about the ceramic tiles, however! Ceramic hexagonal heat shield tiles will cover the side facing away from the viewports, as well as fin undersides, and fin edges and the nose will have some kind of heat shielding - probably ceramic.